The importance of a robust distribution network has been demonstrated by Maruti Suzuki which is by far the largest among automakers in the country, 10 times more than Nissan's at 1,236 dealers. 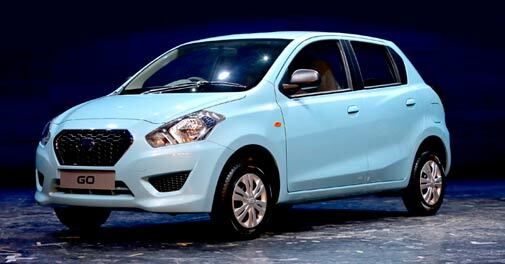 At first sight, Japanese car maker Nissan Motor Co launched the Datsun Go in New Delhi on Wednesday (March 19), seems to be the perfect small car. It looks better than Maruti Suzuki's best selling Alto, with more edgy sidelines and headlamps which vaguely resemble that of the new Toyota Innova. Car lovers have been looking forward to the re-launch of Datsun, the brand which has 100 years of heritage behind it, for the last two years with great anticipation. India leads in the re-launch of the brand. The Go, which means strong in Japanese, was completely built out of India. In its earlier avatar, Datsun sold 20 million cars in 190 countries over 80 years, before Nissan phased out the brand in 1986. From India, the car is being taken to other countries as well such as Indonesia, Russia and South Africa. Ashwani Gupta, Global Programme Director at Nissan Motors India says Datsun is Nissan's answer to emerging market products. Priced between Rs. 3.12 lakh and Rs. 3.7 lakh, it will compete directly with the Alto and Hyundai's Eon. How strong a rival will it prove? "Nissan will have to look at a gradual increase in distribution outlets and that's a challenge, and important," says Abdul Majeed, leader, Automotive at PwC India. "With a mass market product like this you need at least 350 to 400 dealers." Go will be sold through the 125 Nissan dealerships, which is perhaps the biggest reason for worry for Nissan. Expectations are huge - the company wants Go to account for at least one-third of Nissan's overall India volume sales, if not half. The importance of a robust distribution network has been demonstrated by Maruti Suzuki which is by far the largest among automakers in the country, 10 times more than Nissan's at 1,236 dealers. Ford Motor Co, which also lagged in distribution coverage once, has more than doubled its reach in the past couple of years. Kenichiro Yomura, Managing Director and CEO at Nissan Motor India, declines to talk specifically about network expansion, and says that the company will focus on delivering better service to its customers. Gupta says that Nissan will provide roadside assistance and mobile services to its buyers. But Majeed argues that better customer service is possible only if a company has a good network, as that segues into better after sales. "You need to provide good servicing, and ensure of availability of genuine parts throughout the market," he says. Some earlier reports have suggested that Nissan is planning to take its dealer network beyond 300. Some would argue, that the automobile market is changing. Buyers are looking more at compact sedans, SUVs and other comparatively bigger cars than the Go. The best example is Dzire, Maruti Suzuki's sub-four metre sedan which overtook Alto last year as India's largest selling passenger car. But Yomura differs, saying that with Go, Nissan has another product (apart from the Micra) that addresses 50 per cent of the market, that is hatchbacks. But even if hatchbacks still have great potential, Nissan will need to substantially and quickly expand into tier-2 and tier-3 towns, where Maruti and Hyundai are strong. DAT, the first three letters of Datsun means "lightning speed" in Japanese. Yomura might just want to keep up to the name.